I came across this article online, and thought it would be great to share on Enjoy Utah! 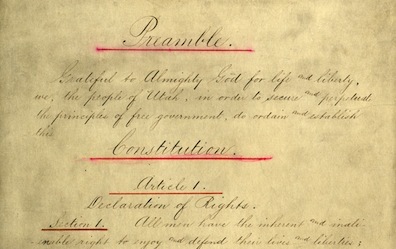 The ORIGINAL 1895 Utah Constitution is now posted online and available for public viewing! CLICK HERE to download and read through the original document that helped found our great state of Utah!